Staying in a hotel with my family ? husband, three kids and springer spaniel ? isn?t always my idea of a vacation. Let?s face it: most hotel rooms are pretty bare bones. So, to foster a spirit of relaxation and actual sleep, I usually opt for condos or townhomes whenever I can. This past fall, instead of booking our usual condo for a weekend getaway, I decided to book a tiny home. I won?t lie; I did it a little as a joke. My architect husband has long bemoaned the tiny home movement. He?s very considerate of a family?s lifestyle when designing homes and it?s usually his opinion that tiny homes are better on paper than they are in practice. When he found out that I?d booked a tiny home for our vacation, he rolled his eyes and I was ready for a round of ?I told you so.? 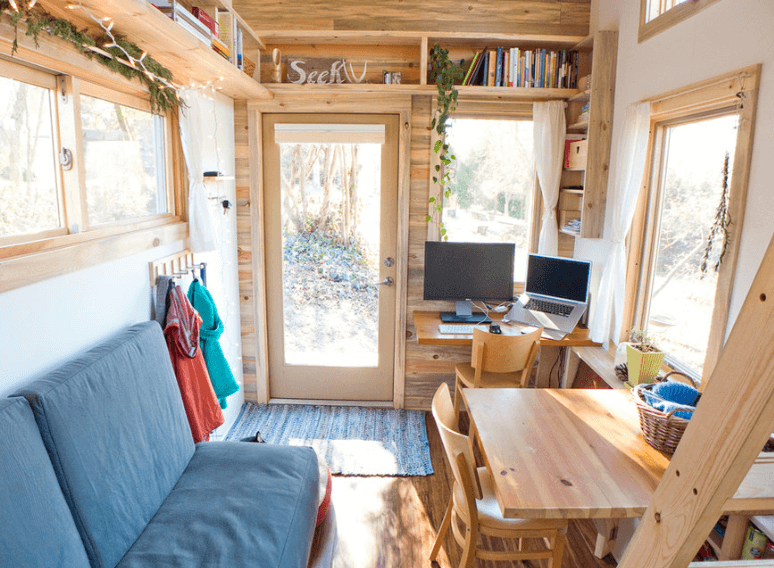 What we learned over a three-day stint in a tiny home surprised me. As it turns out, small space living isn?t for everyone, but it?s probably not as crazy as you?d think. Here are five things I learned about tiny homes that I couldn?t have grasped without actually staying in one.